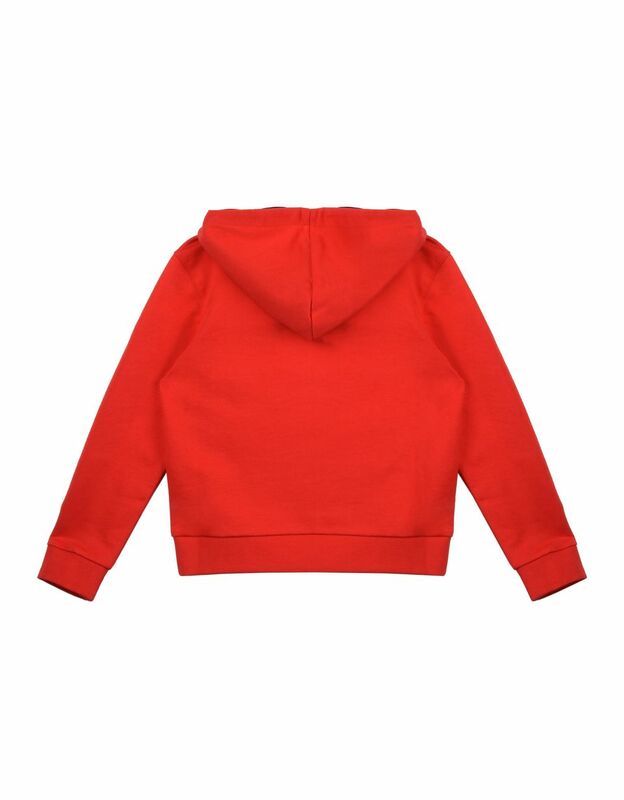 Style and practicality are what distinguish this red sweatshirt for teens dedicated to young Scuderia Ferrari enthusiasts. Made of French Terry, the Scuderia Ferrari sweatshirt stands out for the large kangaroo pockets on the front and the practical zipper. 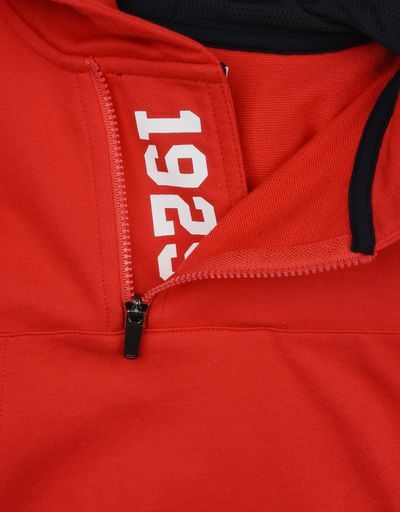 The iconic look of this sweatshirt for teens is enhanced by sophisticated details such as the decorative "1929" writing on the inside of the front opening celebrating the year Scuderia Ferrari was founded. 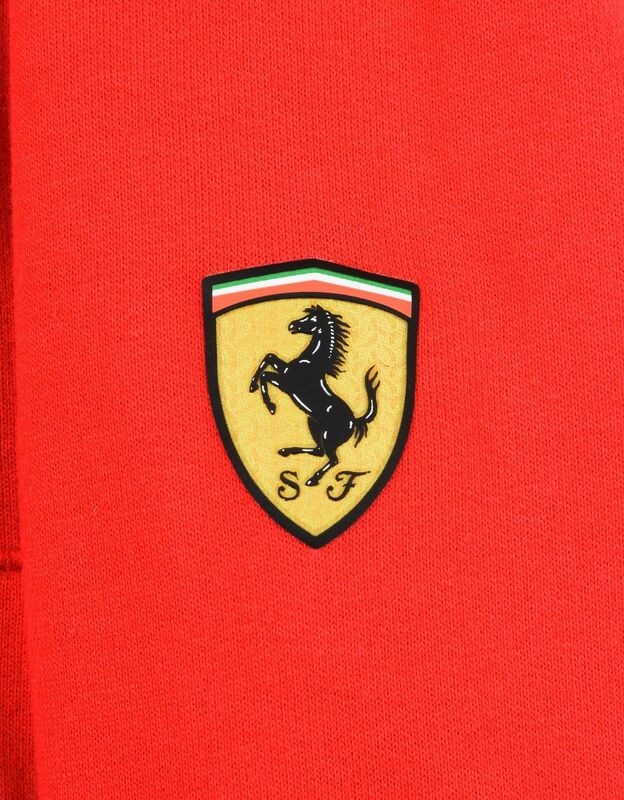 The printed Scuderia Ferrari logo triumphs on the patch located at the bottom, while the sleeves are personalized by the gritty On Track patch. 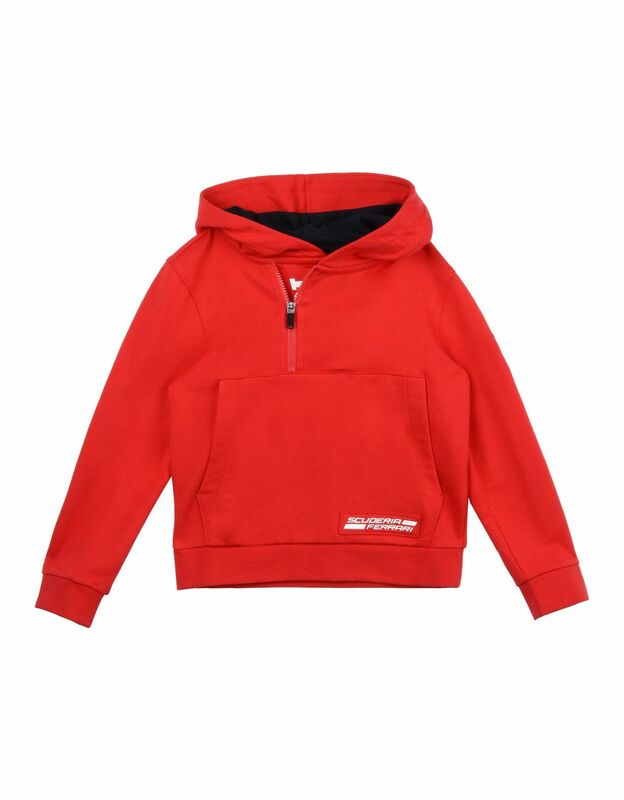 Whether participating in indoor or outdoor activities, young fans can express all their passion for the team with this sweatshirt.